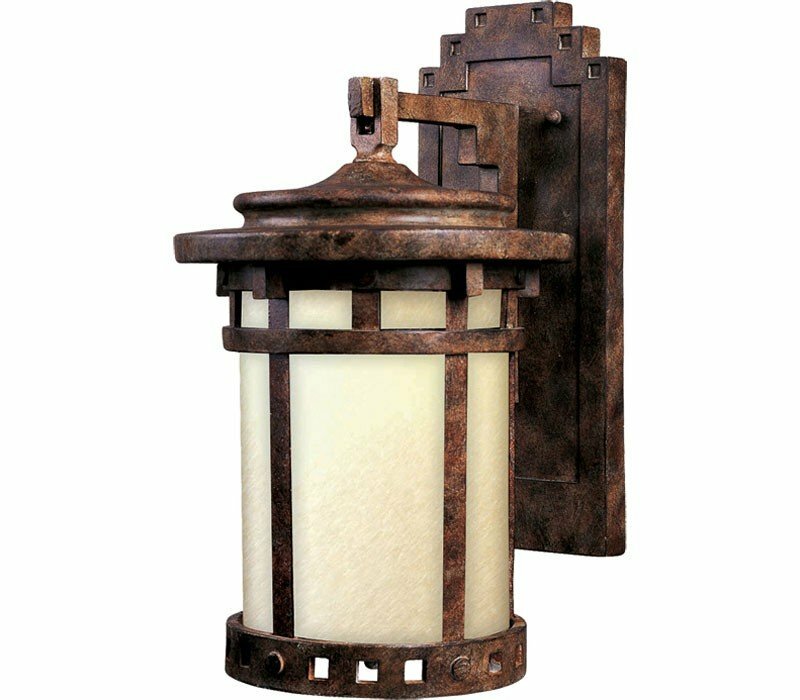 Santa Barbara Dark Sky is a traditional, craftsman/mission style collection from Maxim Lighting in Sienna finish with Mocha glass. Designed to meet the requirements of Dark Sky, these fixtures preserve and protect the nighttime environment and the heritage of dark skies through quality outdoor lighting. 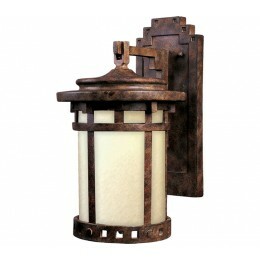 The Maxim 3143MOSE Santa Barbara Dark Sky collection Outdoor Wall Lighting in Sienna uses Incandescent light output and brings Antique style. The total wattage is 100 and the voltage is 120 volts. The Maxim Lighting 3143MOSE requires 1 bulb (not included). Additional Information: Shade-Mocha Glass.